← NEW Outlander Trailer Just In Time For Valentine’s Day! Prince William began a three-day visit to Japan today arriving at Tokyo’s Haneda International Airport. This royal visit to China and Japan is meant to promote UK relations with both countries and there is no better ambassador to do that than Prince William! 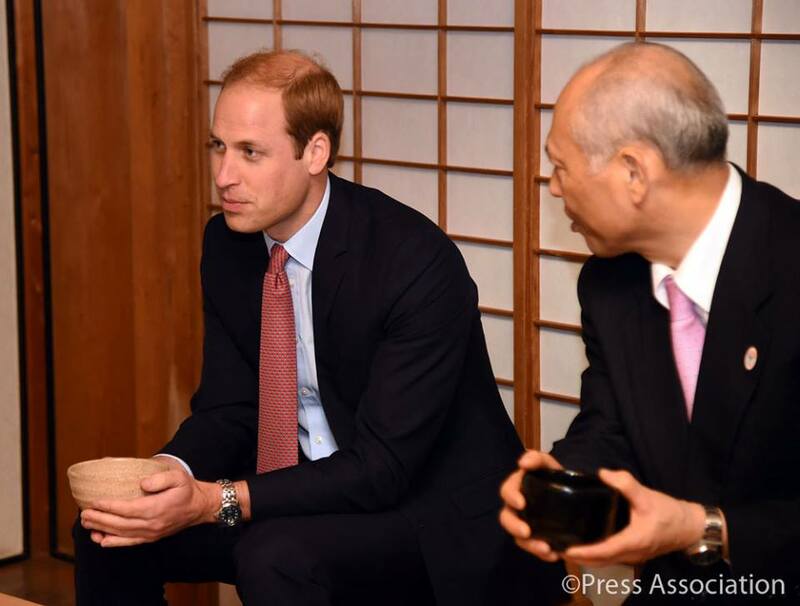 On his very first visit to the Far East, William began his visit in Japan by taking a speedboat ride to Tokyo Bay, which will play host to the 2020 Summer Olympics. 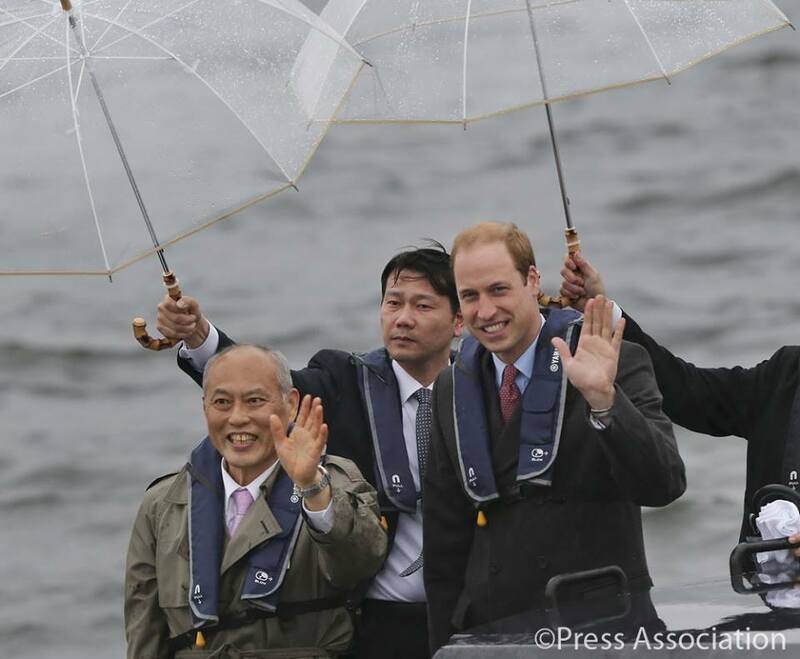 Prince William enjoys a speedboat ride to Tokyo Bay despite the rainy weather. His Royal Highness was met by British Ambassador Tim Hitchens and the Tokyo Metropolitan Government Governor Mr Yoichi Masuzoe who escorted him on the speedboat through Toyko harbour where he was shown where some of Toyko’s future Olympic sites will be built and passed under the city’s landmark Rainbow Bridge. 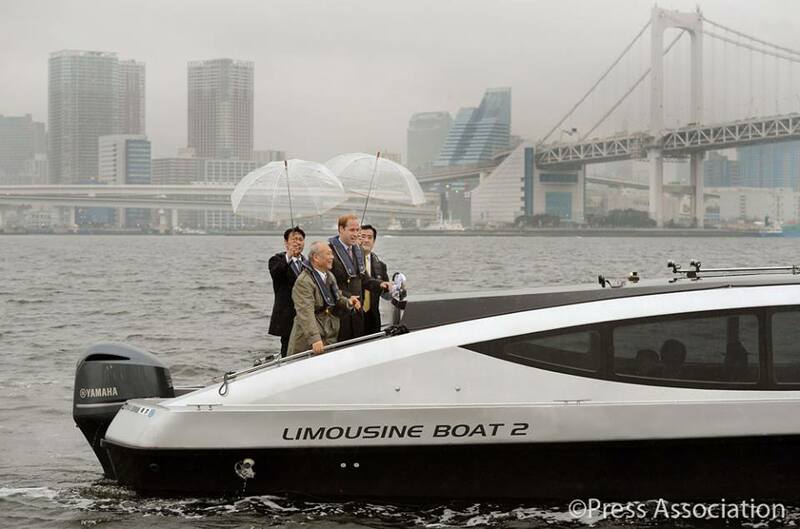 Prince William and his Japanese hosts tour the city by speedboat. 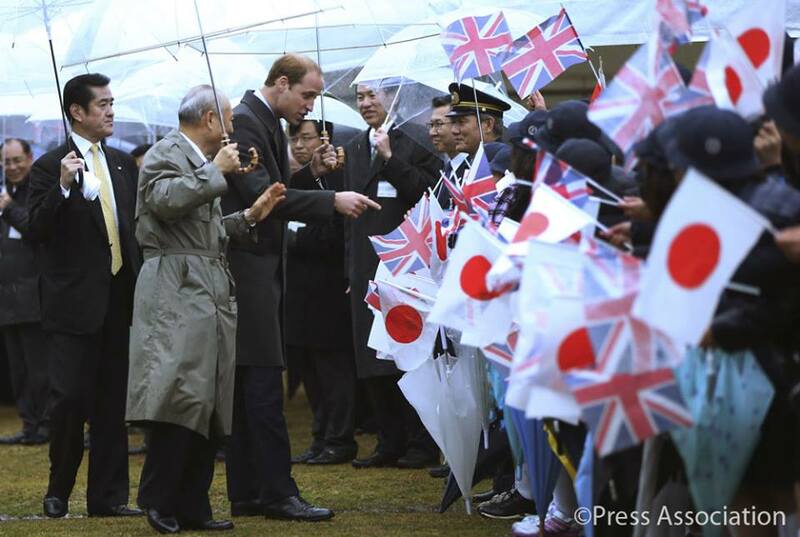 The Duke of Cambridge disembarked at the historic Hama Rikyu Gardens where a crowd of Japanese students and adorable school children braved the rain for a glimpse of the prince. 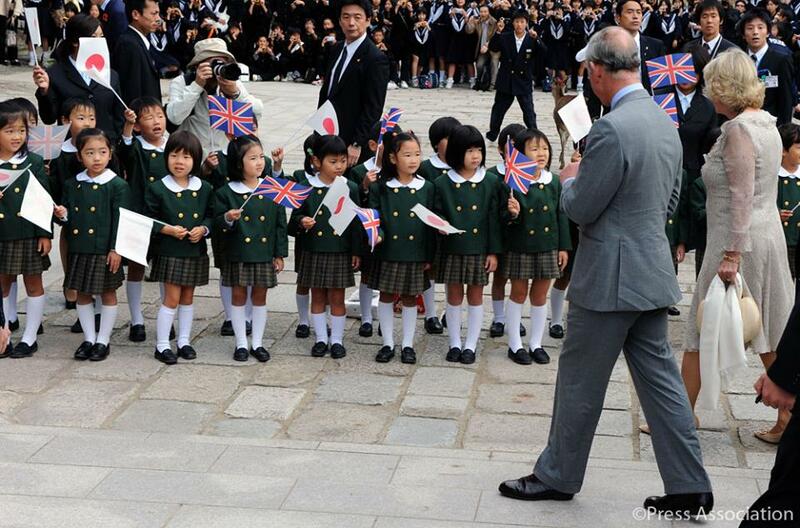 Their excitement shone brightly as they waved British and Japanese flags. Quite reminiscent of The Prince of Wales and The Duchess of Cornwall‘s visit to Japan in October 2008 which was the last time a member of the royal family visited. 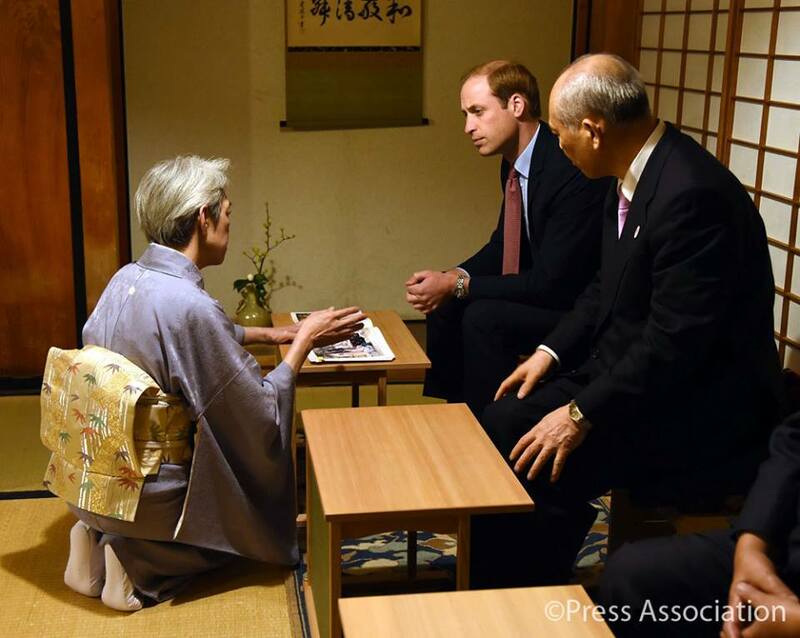 Teatime came for Prince William when he experienced a simple but spiritual Japanese tea ceremony to mark his first arrival to the Far East country. The prince was served tea by a grand master who has performed the ritual for his parents The Prince and Princess of Wales, and his grandmother The Queen. What an amazing tradition! So beautiful that Prince William was served tea by a grand master who has performed the ritual for his parents The Prince and Princess of Wales, and his grandmother The Queen. 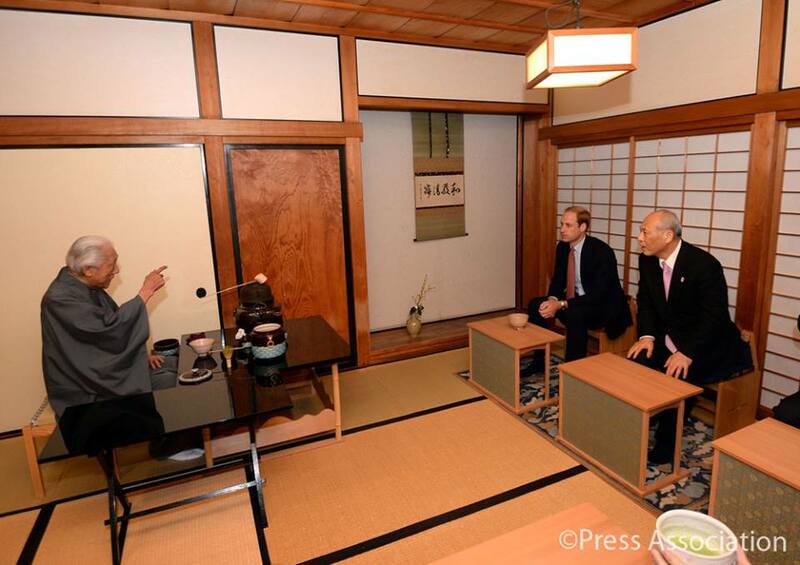 His Royal Highness was taken to a centuries-old Tokyo teahouse and seated at a small table where he received the green tea, said to have life-prolonging properties. The ceremony was performed in private with The Duke joined by a few dignitaries including the Governor of Tokyo, Yoichi Masnzoe. Genshitsu Sen, whose ancestor laid down the philosophical ideas of chado, or Way of Tea, performed the spiritual ceremony aimed at refining the self as students seek the principles of harmony, respect, purity and tranquility. Dr Sen made the “thin tea” or usucha with powdered green tea. The historical teahouse was built more than 350 years ago in Japan’s Edo period and is a traditional single-story wooden building of white paper walls and mat flooring which was restored in 1978. A historical teahouse, 350 years old. 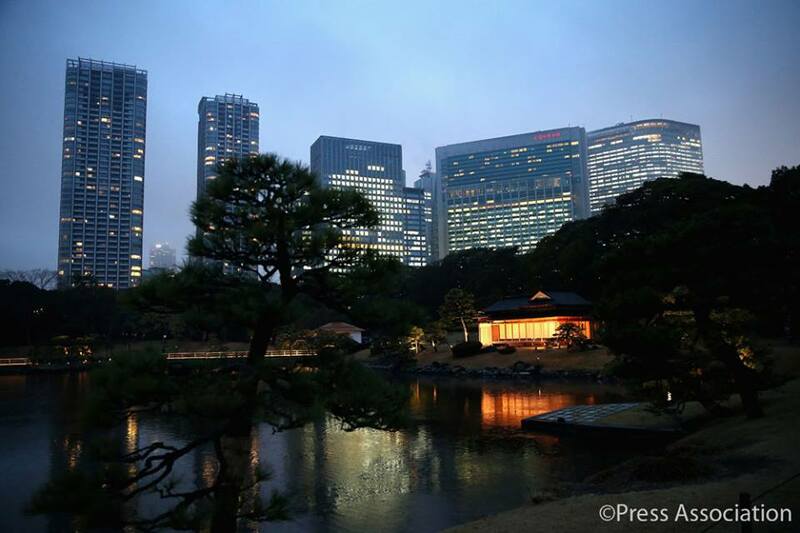 A walk through the beautiful and serene Hama Rikyo Gardens which used to belong to a former Shogun and was donated by the Japanese Imperial family to the people of Tokyo in 1945. It was at this very spot that Prince Alfred, the first British Royal – actually the first European Prince – arrived in Japan in 1869 to be received as one of the country’s first VIP foreign visitors by the teenage Emperor Meiji. I can just imagine adorable Prince George running across this bridge…. A walk through Hama Rikyo gardens. 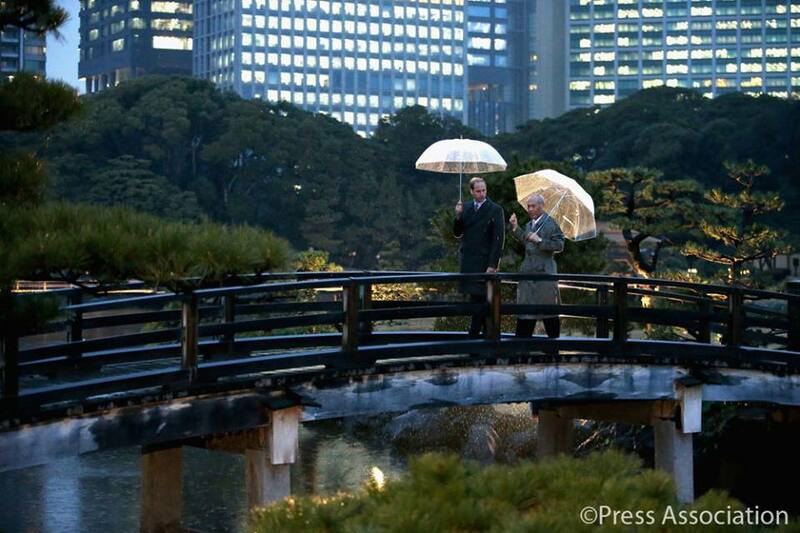 We’ll bring you all the latest on Prince Williams visit to the Far East on The Anglophile Channel blog. Stay tuned! This entry was posted in Rule Britannia! and tagged Britain, British Monarchy, Japan, Prince William, Royal Family. Bookmark the permalink.